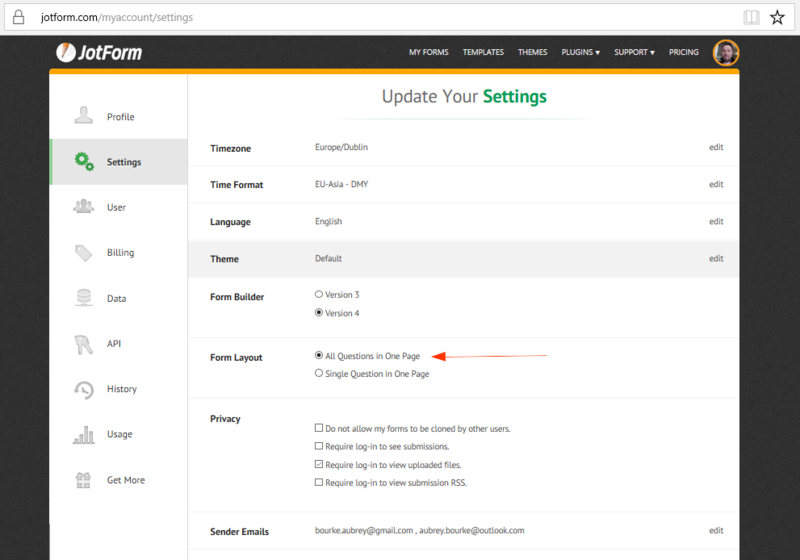 Yes you can switch a form layout in your forms settings. Or you can set a default layout in your profile settings. Theme to privace is next option. Thank you for your response. Apparently, your account does not have such setting so there is no need for you to do this on your account settings page. You can just do the switch on your form's settings. Feel free to let us know if you have additional questions or concerns.